What could be more infuriating than the occurrence of acne or pimples during the most unlikely situations like just a few days before an important function or when you have that important date! 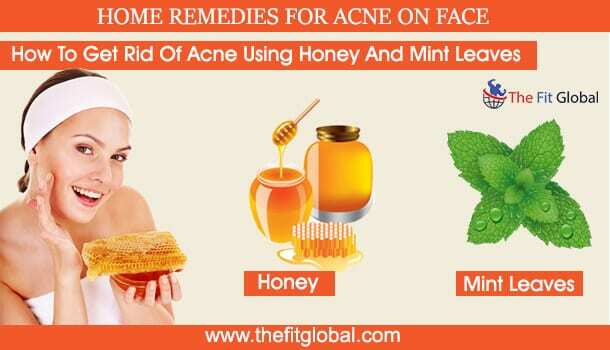 Follow these home remedies for acne and you will never have to worry about how to hide those never leaving marks on your face. Pimples, which are also referred to as acne or zits are tiny reddish or white puss filled outgrown nodules, are caused because of the dirt accumulation in different parts of skin pores which leads to blocked pores or they are caused because of the excessive production of sebum by the sebaceous glands because of the hormonal changes. Before getting into the home remedies for acne, there is a need for you to know what causes acne because when you know the exact cause of acne, you will know how to deal with the cause so that the treatment becomes much easy! Take a glance at all these causes to find out which one is your cause. Pollution – If you have been residing in a polluted area, there is a maximum possibility that acne is being caused due to the accumulation of dirt and bacteria into your skin pores. Protecting your skin from pollution can result in the reduction of acne. A Greasy Scalp – An oily scalp can cause acne on the forehead because the oils can get accumulated on your forehead, causing clogged pores on the forehead. Why PCOS Cause Acne? – The polycystic ovarian syndrome is a hormonal disorder affecting a huge population. Emergence of acne is the most evident symptom of PCOS, other symptoms being irregular periods, obesity and mood swings. Immense Stress Levels – Stress that you undergo at your work affects your hormones drastically. This shows up in the form of acne and zits. Look for various stress busters to put your mind at ease. Periods Cause Acne – Acne caused during periods is not a reason to worry because these are temporary and disappear within a week! But if you are still looking for a cure, you can follow any of the home remedies for acne mentioned in the article. Do Not Forget to Remove Makeup Before Going to Sleep – Certain comedogenic cosmetics can block your skin pores, not letting them breathe the fresh air if you put on the makeup before sleeping. It would be wise if you buy an Aloe Vera plant and start cultivating it at your home because you might need this medicinal herb not only for treating acne but for various other ailments because Aloe-Vera is one herb that has huge medicinal properties. To treat acne, you can cut a part of Aloe-Vera plant, extract the gel out of it by cutting down the outer surface and apply this gel to your pimples. You can apply this before you sleep and let it remain overnight. Wash this off next day in the morning. You can add turmeric to add more medicinal value and soothe the acne more quickly. Essential oils are used for treating acne because, essential oils are perfect cleansers, they are antiseptic and they help in removing bacterial infections. You can use jojoba oil or lavender oil particularly for acne. Tea tree oil works best for acne. You can apply two to three drops of tea tree oil to the infectious pimples. You can apply this oil thrice in a day for a quick result. Mix some amount of carrier oil to tea tree oil before using it because, direct application of tea tree oil can cause a burning sensation because of its strong power. 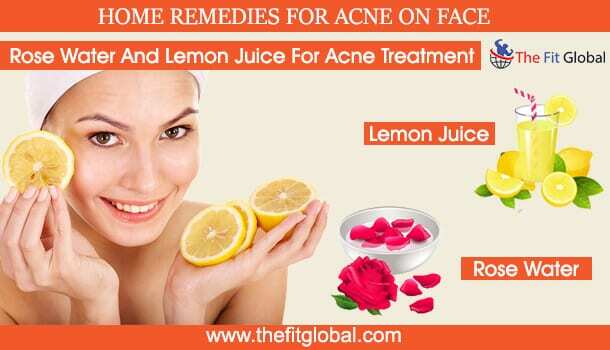 Lemon juice is one of the best home remedies for acne because lemon juice has the property of disinfecting the bacteria that invades the pores and resulting in clogged pores. Squeeze a lemon in to a bowl and use cotton balls or cotton pads to apply lemon juice to the area where pimples are present. You can apply lemon juice to just the problematic area, but it is much advisable to apply lemon juice all over your face because it can reduce the blemishes and make your skin look glowing and perfect. The main reason for the cause of acne is the accumulation of dirt and bacteria. So, while curing acne, you must look for the methods by which you can remove the bacteria. Apple cider vinegar is one such ingredient which works very effectively in acne treatment because it helps in eliminating the bacteria. Apart from this it also works in removing the dead cells which do not shed off on a regular basis. For more effective results, you can add honey to apple cider mixture to create a facemask because honey has anti-oxidants. Apply this face mask and let it remain for half an hour and rinse it off with lukewarm water. Tomato helps in contracting the skin cells and tissues whereas avocado helps in killing the bacteria and other fungal invasions. You can blend the tomatoes in a blender jar and prepare a smoothie. Mash up the avocado and mix it with the tomato puree. Apply this mixture to your face and let it dry. After half an hour so, you can rinse off the mixture using lukewarm water. 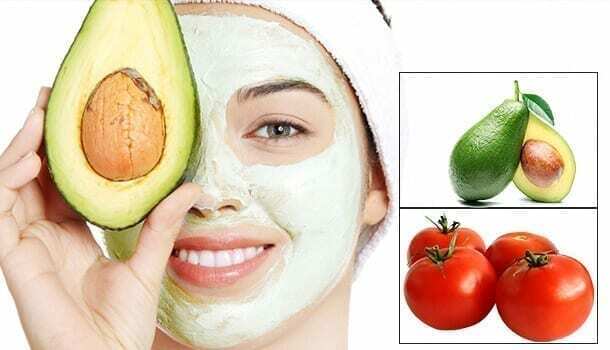 If you do not have avocados in your reach, you can cut a tomato into many slices and use these slices to rub on to your skin. Rub these slices twice or thrice in a day for a better and faster result. You will need three eggs and a fresh juicy lemon for this face mask. Extract the white part out of three eggs into a bowl leaving behind the yolk. Squeeze half part of the lemon juice into this bowl. Mix the eggs whites and lemon well and apply this mixture all over your face. Egg whites help in shrinking the pores which are open wide. Lemon kills the bacteria and dirt. You can let this mixture remain for thirty minutes before you wash it off with lukewarm water. Turmeric is the best anti-inflammatory ingredient that helps in soothing your acne by reducing the inflammation and drying out the pimples. Since the direct application of turmeric can cause side effects, you can use yoghurt, lemon and rose water as the supporting ingredients. Take 1 tablespoon of turmeric and add one tablespoon of yoghurt along with a teaspoon of rose water and a half slice of lemon juice. Apply the face pack, let it dry and rinse it off after 1 hour. Vitamin C present in lemon juice helps in treating your acne. The application of lemon directly to your skin can cause irritation and a burning sensation. Make sure that you dilute it with a tablespoon of rose water to reduce the concentration. Squeeze half slice of lemon in a bowl and add a tablespoon of rose water to the lime juice. Use a cotton ball to gently dab the mixture on your acne and leave it for half an hour. Be careful while rinsing it off and use a cotton ball to prevent any kind of rupture. Honey contains anti-inflammatory properties that help in reducing the swelling and infection caused due to acne. Mint helps in providing a cooling effect to your skin and soothing your acne. To prepare a honey and mint face pack, blend a handful of mint leaves in a jar and add a tablespoon of honey to this. Mix the ingredients to form a smooth paste and apply this all over your face. Leave for 30 minutes and rinse it off with water. 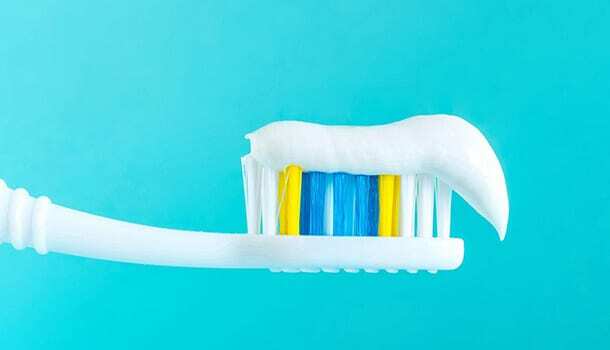 If you bear the type of skin that is too sensitive, you can avoid using toothpaste. However, if your skin is not so sensitive and you bear one or two acne on your face, you can use toothpaste to get rid of acne overnight. You just need to apply the paste directly on your acne before going to sleep. Rinse it off the next day in the morning. There are various face packs that you can prepare by using toothpaste as the ingredient. Using toothpaste is apparently the fastest way to get rid of acne. How to Treat Blackheads and Whiteheads? Though blackheads and whiteheads come under different types of acne, treating pimples and comedones is very different and contrary because while pimples are to be treated very sensitively, comedones are stubborn and they require a harsh treatment. 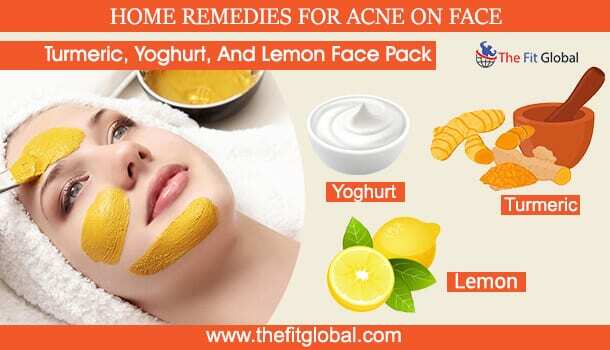 You can apply the above facemasks which have been listed under home remedies for acne, to treat blackheads and whiteheads, but before you do that, you have to apply steam to your face. After applying proper steam to your face, scrub your nose with honey and sugar mixed scrub in a circular motion by using your fingers. Be harsh while you rub your nose to get rid of the comedones effectively. You can apply any of the face packs that have been mentioned above as a remedy for comedones. It has been rightly said that prevention is better than cure. You no longer need to search for home remedies for acne or how to get rid of acne if they are prevented from occurring in the first place. If you are looking for various ways on how to prevent acne from attacking you, these tips are for you! 2) Keep yourself covered while you go out in pollution to prevent the dirt and bacteria from settling in your pores. 3) Do not let your skin become too dry, because dry skin can also result in acne breakouts. 5) Make sure you get rid of a greasy scalp as oils secreted in your scalp will cause clogged pores, thereby resulting in acne on your forehead. 6) Drink plenty of water numerous times in a day to keep your skin hydrated and moisturized.